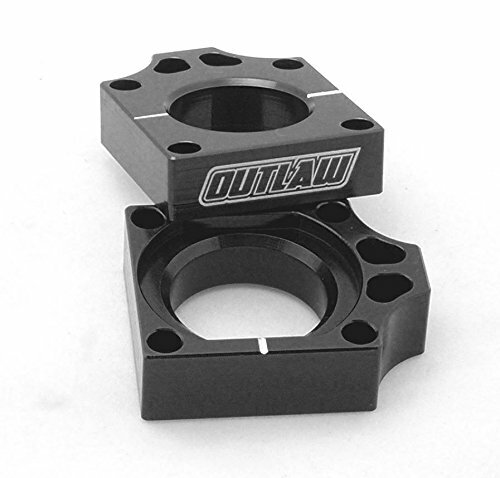 Add some style to your bike with our super trick billet axle blocks! CNC Machined from billet aluminum for strength and light weight. Aids in rear wheel alignment and extends chain and sprocket life. Reversible to allow extension of axle. Available in black, blue, green and red. See other listings for color options. You are buying color listed above only.